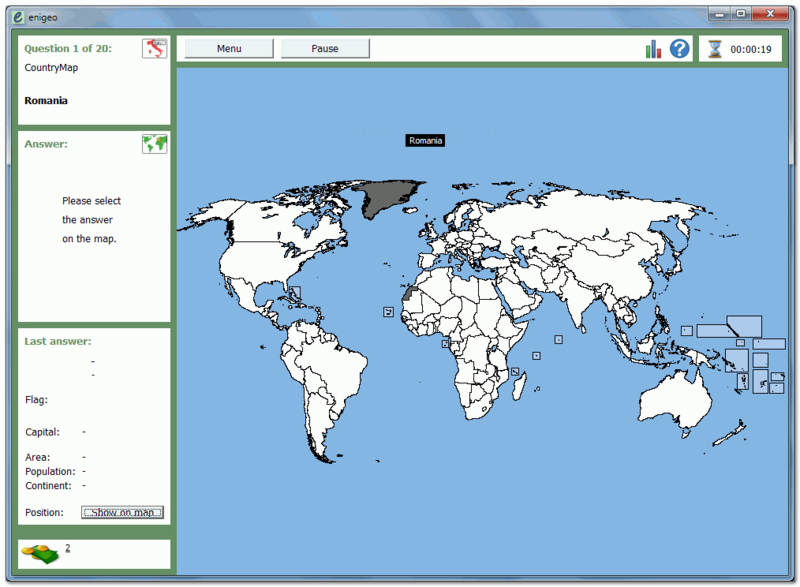 Enigeo is a learning software for countries, capitals and flags around the world. You can either answer questions about the countries in a highly customizable quiz or explore the world and learn about different countries. How to extract: Download the ZIP package for your language and extract to a folder of your choice. Launch enigeo.exe. Added links to Wikipedia in the country information box. Note: in version 3.0.1, if you don't need the big flags displayed, you can delete the flags_large.bmp file and create a new empty one with the same name, so the size of the application will decrease to about 4mb. GUI doesn't display properly on screens set at 120dpi, or on netbooks (1024x600). You can still use 7-zip to extract the exe. there is no zip at download page.